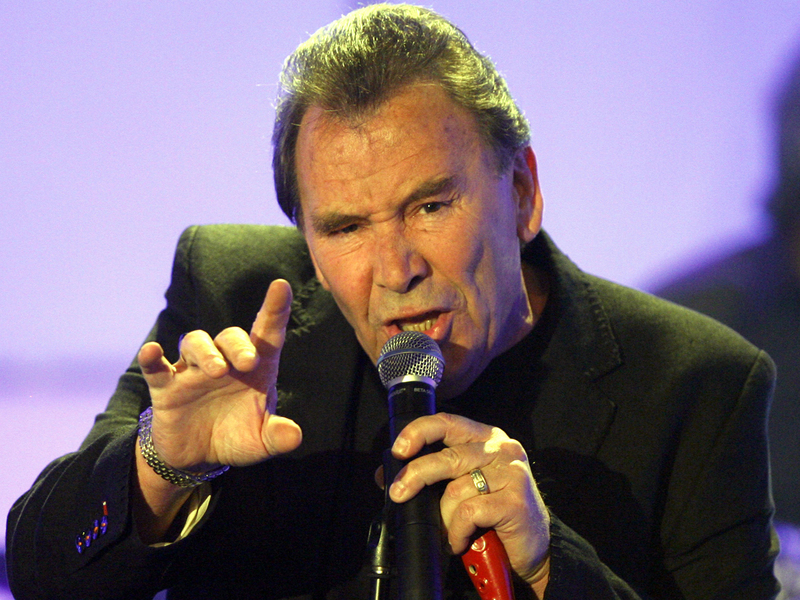 Reg Presley, lead singer of the Troggs on hit songs including the garage-rock classic "Wild Thing," has died. He was 71. Presley's friend and publicist, Keith Altham, said late Monday night that Presley died after a long bout with cancer. Altham said the singer died at his home in Andover (70 miles west of London) surrounded by his family and friends. "My dear old pal Reg Presley of The Troggs died today," he said, calling Presley "one very real person in a sometimes very unreal world." Presley had announced his retirement from music last year after being diagnosed with lung cancer. Altham explained on Facebook that his "dear old pal" had died after "a succession of recent strokes and a losing battle with cancer." The Troggs, part of the British invasion spurred by the Beatles and the Rolling Stones, perfected a simple, hard-driving approach to the three-minute rock song that was miles away from the lyrical art-rock of the Beatles or the poetic songs of Bob Dylan. This was rock music at its "boy meets girl" basics, with a caveman's approach to romance - and it created such a powerful image that Presley and the band played these songs to appreciative (if smaller) audiences until illness intervened. "Wild Thing," written by American songwriter Chip Taylor, was originally recorded by Jordan Christopher & The Wild Ones in 1965, and quickly forgotten. It took the Troggs' cover a year later to make it a classic. With its basic three-chord approach and driving beat, "Wild Thing" became a hit on both sides of the Atlantic and has been covered by literally hundreds of bands since its 1966 release. The song was picked up not only by semi-skilled garage bands the world over - the lead guitar lines were easily copied - but also by masters like Jimi Hendrix and Bruce Springsteen who treasured the tune's raw energy. It even led to a successful novelty song, with a singer pretending to be Sen. Robert Kennedy "singing" the lyrics in Kennedy's distinctive voice. The Troggs, all from the Andover area, had several other big hits, including "Love is All Around" and "With a Girl Like You." They faded in the 1970s but their songs were revived in the 1990s when REM and Wet Wet Wet released covers of the Troggs' "Love Is All Around." Presley, also a prolific songwriter, helped found the Troggs in the 1960s while he was working as a bricklayer. Born Reg Ball, he took the stage name "Presley" at his manager's suggestion. He announced his retirement in January, 2012 in an open letter to his fans thanking them for their support. He said at the time that he was receiving chemotherapy and not feeling "too bad." He had a strong interest in crop circles, paranormal activity, and UFOs. His daughter Karen told the music website WENN that she, her brother and her mother were with Presley when he died. "We're absolutely heartbroken," she said.